A driver can have their driving licence disqualified if they are convicted of drink / drug driving or other driving offences that is necessary to result in a ban. A court can order that once the disqualification period has ended, that the individual must return to a provisional driving licence holder and go through the entire driving test process as a learner driver does. This also includes taking the theory test. 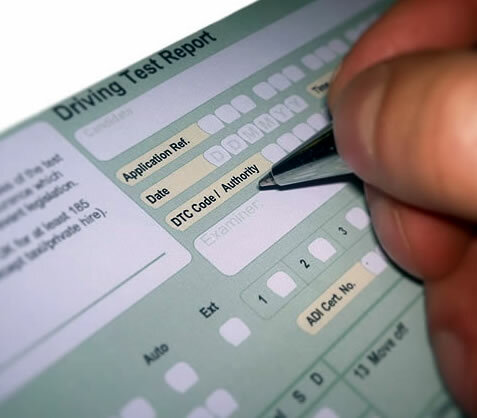 The theory test for a previously disqualified driver is the same as other learner drivers theory test although the extended driving test is much more challenging than the typical learner drivers test. This section explains the extended driving test along with tips and information. Once the driving disqualification period has finished, you have a provisional driving licence and have taken and passed the appropriate theory test for your category, you are then entitled to book the extended driving test. The typical learner practical learner driving test takes approximately 40 minutes. The extended driving test takes approximately 70 minutes which includes 20 of independent driving. Booking information of all driving tests including the theory test, normal learner practical driving test and the extended driving test is made via the DVSA website or telephone booking which can be found on the How to start learning to drive section. how hard is the Extended test? The extended driving test isn’t necessarily harder as such, you won’t be expected to do anything different than that of a normal driving test. The extended driving test simply lasts longer and you will be doing more, therefore there is a higher possibility of something going wrong. The turn in the road and reverse round a corner manoeuvres are no longer conducted on the new driving test. A normal driving test will involve the examiner requesting one of these manoeuvres (occasionally two if time permits). The extended driving test may involve all four manoeuvres, although if the test centre you are taking the extended test from doesn’t have parking bays, or another DVSA test centre within appropriate driving distance does not have bay parking either, you will not have the bay parking manoeuvre requested. Dual carriageway driving is heavily features during an extended driving test. If the test centre does not have dual carriageways in the vicinity, they will not feature on the extended driving test. However, many busy, high speed ‘A’ roads will certainly feature. The emergency stop having around a 1-in-3 chance of being requested during a normal learners test, is compulsory on the extended driving test. How difficult the extended driving test is, can also be associated with where the driving test centre is based. For instance taking an extended test in London is likely to be more challenging than say, Cambridge. The traffic flow and style of driving in a large city such as London is often much faster and aggressive. Roads, junctions and roundabouts often have fast moving multiple lanes and the driving test pass rates reflect this. Although you will have had previous driving experience, it doesn’t take very long for most drivers to acquire bad habits. As you have previously been disqualified, the examiner will be keeping a keen eye to ensure that your driving is particularly safe. In particular, the examiner will be focusing on safe passing distances of cyclists, parked cars etc, excellent and appropriate observation, appropriate signalling and in good time, speed limits and to remain courteous to other road users. Extended driving test courses are similar to refresher lessons where for example a individual that has been driving in another country needs to pass the UK driving test. It is highly recommended that you take an extended driving test course from a qualified driving instructor as any bad habits will soon become apparent during the test. Ensure you are clear to your instructor that you require training for an extended driving test as the instructor will need to adopt a more intensive approach to teaching to prepare for the long 70 minute extended test. After your first lesson, the instructor will provide you with a detailed analysis of your ability, progress and how many further lessons they think you will require. The instructor will re-teach you all the correct observations not only for driving, but for all the manoeuvres. This may include reference points in the car for manoeuvres if applicable. In such cases, it will be beneficial to use the instructors car during the extended driving test. Try to choose a driving test centre that has less traffic density within that area. Book the extended driving test during the least busy times of day. This often falls between 10 am and 3 pm. Choose a fully qualified driving instructor and inform them that you need lessons for the extended driving test. Ensure your chosen driving instructor is highly familiar with the driving test routes for your test centre. Take a mock extended driving test before the real test to ensure you are up to standard. It may be a little more difficult than initially thought when trying to find a driving instructor for the extended driving test. Follow the guide in finding a good driving school or instructor, but you may get turned down by some instructors because their insurance does not cover them for previously disqualified drivers. which car to use for the Extended Test? If you manage to find a driving instructor willing to teach you for the extended driving test, use the instructors car for the test as it is highly unlikely you will find a car to use on the test. To take a normal learner test and the extended driving test, a hire car must have dual controls. It can be difficult finding a car hire company offering cars with dual controls. Even then, the hire companies insurance is unlikely to cover them for previously disqualified drivers. The rules of the extended driving test are the same as the normal driving test. The extended driving test will start with the eye test, followed by the Show Me Tell Me Questions and will involve a variety of roads, traffic systems and manoeuvres. With the exception that the extended driving test will last much longer. At the end of the extended driving test, the examiner will inform you if you have passed or failed. For a detailed and in-depth guide, read What to expect on the driving test.